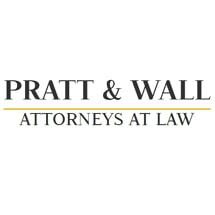 The Suwanee-based law firm of Kevin J. Pratt & Associates provides skilled legal representation to clients throughout the Atlanta metropolitan region. The firm uses a practical approach offering candid advice to help clients solve their legal problems. We understand the real-world consequences of criminal charges and mounting debts. Our founding attorney has significant legal experience and has been in practice since 2002. Our Georgia firm aggressively defends clients against criminal charges whether minor misdemeanors or serious felonies. We will explain the possible penalties including jail time, fines and the collateral consequences that could limit employment opportunities and the ability to find housing. Our lawyers will work diligently to build the strongest criminal defense and pursue the best outcome possible. Kevin J. Pratt & Associates is one of few firms with the experience to effectively represent debtors against credit card lawsuits. Our attorneys also represent clients in contract disputes in Magistrate, State and Superior court. A bankruptcy filing will stop the seemingly constant communications from creditors and it may provide an option to avoid foreclosure. When clients need a fresh financial start, our attorneys handle all aspects of a Chapter 7 bankruptcy or Chapter 13 filing. Our firm seeks to resolve each case in a timely manner and we will attempt to negotiate a favorable result. However, we are not afraid to go to trial when it is in the client's best interest.